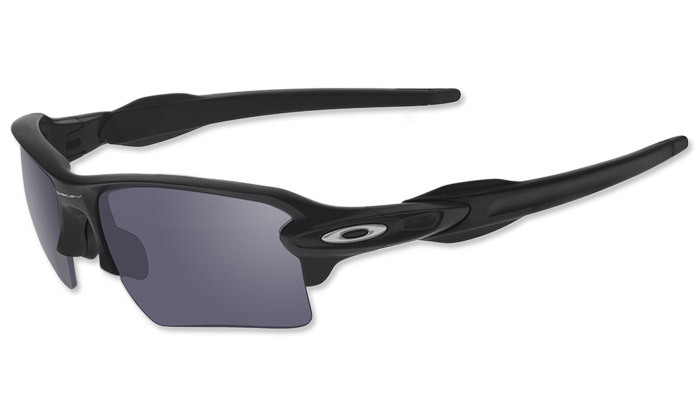 Oakley original SI Flak Jacket™ 2.0 XL eyewear. The XL edition offers a standard size frame with enhanced lens coverage. The semi-rimless design means there's no frame rim to block downward view. Every millimeter of the peripheral view is optimized with High Definition Optics® in a durable yet lightweight design that takes performance to the next level and brings style along for the ride. Essential gear for competition, Flak™ 2.0 XL has 8.75 base lens curvature for protection against sun, wind and impact, and patented XYZ Optics® maintains clarity along the full curve while you push your limits with the comfort and secure grip of Unobtainium®.